Through our series “Know your choir” we present various members of Dante Musica Viva – singers and musicians – who have contributed significantly to the life of the choir. 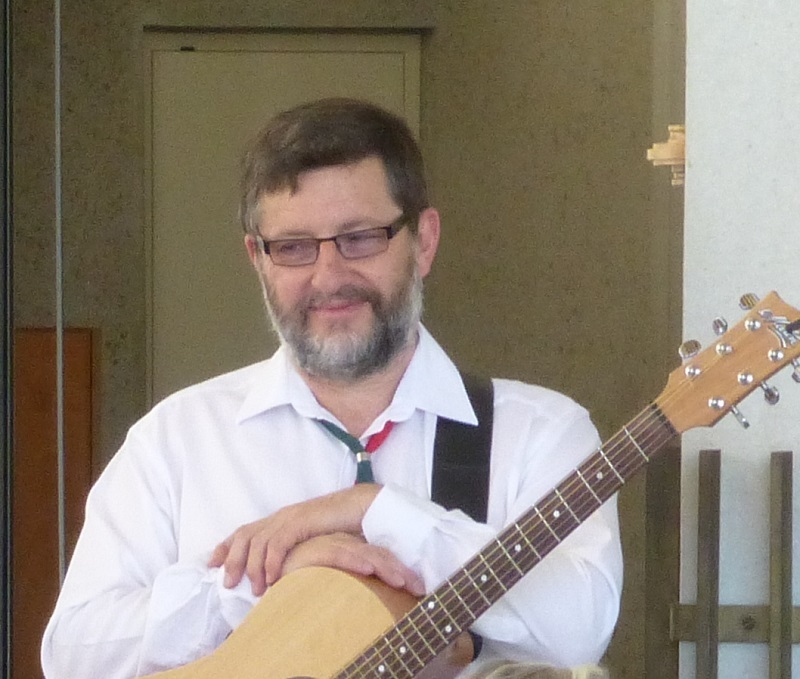 This time we feature our guitarist Rod Fenwick. Here is his story. I had a pretty average Aussie childhood – born in Crookwell NSW in the late 1950s and raised in Goulburn NSW in the 1960s. I’m the eldest of five with one brother and three sisters. As a teenager, I raced bicycles with the Goulburn Lilac City Cycling Club (imagine me in lilac!) and was a member of the Air Training Corps, where I got to ride in air force helicopters and cargo planes. Why music? My dad’s father was a musician in several bands that toured the NSW country region in the 1930s. My dad worked long hours as a mechanic, supporting his family but, somewhere in there, he must have had a yearning to connect with music. When I was around 12 he bought a guitar but did not have the time to learn it. I remember picking it up (totally out of tune) and trying to play along with the solo in Johnny Cash’s “Folsom Prison Blues”. Mum took pity on me and found a music teacher located half way between our home and my high school. I had weekly group lessons before school for a year. I remember carrying that guitar to the lessons, leaving it there when I went to school and then picking it up on the way home. Carrying a school port and a guitar on a bicycle was a challenge. Anyway, all I remember from that very short musical period is learning to play “Yankee Doodle Dandy”. After finishing university I wanted another shot at playing the guitar, so I bought one and took lessons for a while. I also wanted to learn a language, so I enrolled in German classes. One of the students there mentioned a bush band that was looking for new players. This led to me joining Woollies Home Band, a bush band named after the woolshed at Yarralumla homestead where we played many dances. After strumming three chords badly for several years I knew I needed more lessons. My new teacher was a founding member of the Canberra Mandolin Orchestra (CMO). He encouraged me to join and helped me learn the classical guitar parts. During my time in the CMO I met and played music with mandolin players Louise (Ibbotson) and Francesco (Sofo) and bassist Ben (Loudon). In 2003 my wife said “I’d like my next significant birthday in Italy”. So, we made plans and took some private lessons then had a fabulous holiday in Italy. On our return, I decided “German: nein, Italian: si” and enrolled immediately in Italian lesson and conversation classes with Dante Alighieri in Canberra. I think it was around 2006 that Francesco mentioned he was starting an Italian music group that would rehearse after the Dante conversation classes. I joined him for one or two sessions but did not persist. I was keen on the Italian language but could not commit to the rehearsals. In late 2008 my new neighbour (Giovanni Andriolo – one of the choir tenors) invited me to a party he was hosting where the Dante choir was performing. As soon as I walked in I recognised Louise, Francesco and Kathy (on keyboard) as musicians I had performed with before. The choir was singing with full voice, accompanied by great musicians and everyone was having a great time. Knowing so many people in that group and the fact that I wanted to pick up some more of the Italian language, it was a “no brainer” that I’d end up joining the Dante Musica Viva Italian choir. I guess I am now officially classed as an “Italian language and culture tragic”. I’ve taken private lessons with the wonderful Pauline, I have a stack of Italian text and reading books on the shelf, and made various attempts at group lessons and conversation classes. Bring on retirement! Outside the choir, my wife and I are having a great time learning and playing ukulele together. My two adult daughters impress me with their musical skills (they can compose and sing – something I never could do). 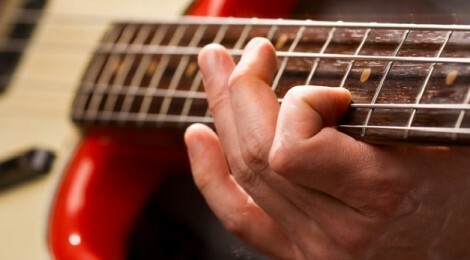 One more thing – I just bought a bass guitar….